Evolve Back Kuruba Safari Lodge Kabini blends tradtional, tribal architecture with modern amenities in a wonderful, scenic setting by the Kabini River with spacious and luxurious private suites. There is a range of activities including boat safaris, village visits and guided nature walks. Accommodation is in spacious mud and thatch huts, built in the traditional style of the local Kadu Kuruba tribe, embellished with creature comforts. All have a bedroom, bathroom, living room, veranda, telephone, television, minibar and air conditioning. In addition, the Jacuzzi huts have an open-air Jacuzzi while the pool huts have a private courtyard with a plunge pool. Each suite can accommodate 2 adults plus 2 children under 10 years. The Honey Comb restaurant offers generous buffet meals featuring regional and international dishes, while the Kuruba Grill specialises in grills and kebabs. Meals can be enjoyed alfresco. Romantic candle lit dinners are popular. There is also a well-stocked bar. The Reading Lounge has comfy chairs and sofas where guests can relax over a book, sipping a cappuccino and enjoying fine views towards the jungle. The Valdyasala Spa specialises in Ayurvedic treatments, the ancient Indian system of healing medicine. When not taking part in organised activities, guests can relax by or in the lakeside infinity pool or the swimming pool. Activities are mostly wildlife based. There are morning and evening boat safaris which travel upstream on the Kabini River, where it borders both the Nagarhole and Bandipur National Parks. These generally last for a couple of hours are in a covered boat with an outboard motor. As well as land animals, guests are likely to see the Marsh Crocodile and a variety of water birds. Jeep safaris travel to Nagarhole National Park, home to a huge variety of herbivores including deer, antelope and elephant, as well as predators such as tiger, leopard and wild dog. Guided nature walks and specialised bird walks led by well-trained naturalists are also offered. Other activities include visiting the local village, just 3kms from the resort, coracle rides on the Kabini River and interaction with Meenakshi, the resort's resident elephant. Open: Evolve Back Kuruba Safari Lodge Kabini is open all year. Location: Evolve Back Kabini is bordered on 2 sides by the Kabini River, near both Nagarhole and Bandipur National Parks. 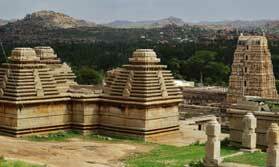 It is about 280 kms from Bangalore Bengaluru international airport. Rooms: There are 37 cottages, all with en-suite facilities, inner courtyard, living room and veranda. They also have Jacuzzi's (unheated). Facilities include TV, minibar, direct dial phone, coffee maker, safe and air conditioning in the bedroom. Pool cottages also have a private plunge pool. Activities: Jeep safaris in Nagarhole National Park, boat safaris, coracle rides, elephant rides, coracle rides, bird watching, bullock cart ride along Kabini's trails, guided night trails. Guests also have the chance to bathe and feed the resort elephant, Meenakshi, led by the resort's naturalist. Facilities: The Honeycomb restaurant serves multi cuisine dishes and there is a separate grill, both overlooking the river. Romantic candlelit dinners and dinner cruises can be arranged. The hotel has a bar, an open-sided reading lounge, souvenir shop and Ayurveda spa. There is an infinity swimming pool and a family pool with a child-safe zone. Services offered include room service and laundry, the service of the resident naturalist guide. Every other evening there is a cultural programme including music and dancing. There are also films on Indian wildlife for guests to watch. The hotel has an activity centre for children with board games and painting. There are facilities for disabled guests. Notes: Evolve Back Kabini was formerly known as Orange County Kabini. Their aim is to provide the highest degree of long-term economic benefit to the host communities, preserve and/or improve the environment at the destination, and contribute to the revival of the traditional culture & heritage of the region. Their efforts show them to be true to this aim. Orange County was a winner in National Geographic's 2015 World Legacy awards, recognising their 'cutting-edge leadership in environmentally friendly business practices and green technology'.